CSS Observer Kowalski Strikes Again…As Does Another of His Recently Discovered Earth-Impacting Asteroids! Early Saturday morning June 2, 2018, Catalina Sky Survey observer Richard Kowalski routinely submitted measurements for a suspected new near-Earth asteroid candidate to the Minor Planet Center at Harvard University. He observed the object using a 60-inch reflecting telescope located atop Mt Lemmon in the Santa Catalina mountains outside Tucson, Arizona. Kowalski's measurements were derived from the discovery images shown below (combined as 4-frame movie), where the object appears streaked, indicting its relative proximity to near-Earth space. Catalina Sky Survey and NASA’s SCOUT project located at the Jet Propulsion Laboratory in Pasadena, California quickly determined that the object, now designated as ‘2018 LA’, was very likely on an Earth-impacting trajectory. Sure enough, only about 8 hours after discovery, the object, believed to be only 3-6 feet across, harmlessly impacted the Earth’s atmosphere, lighting up the sky over Botswana in southern Africa. The plot below shows the range of possible impact points and times, as determined by Bill Gray of Project Pluto using only the telescopic observations. The actual point of impact was observed at the westernmost end of this range. This is only the third time in history that a near-Earth asteroid was discovered before impact, the other two times occurring in 2008 and 2014. Remarkably, all three discoveries have been made by Kowalski using the same Catalina Sky Survey telescope. 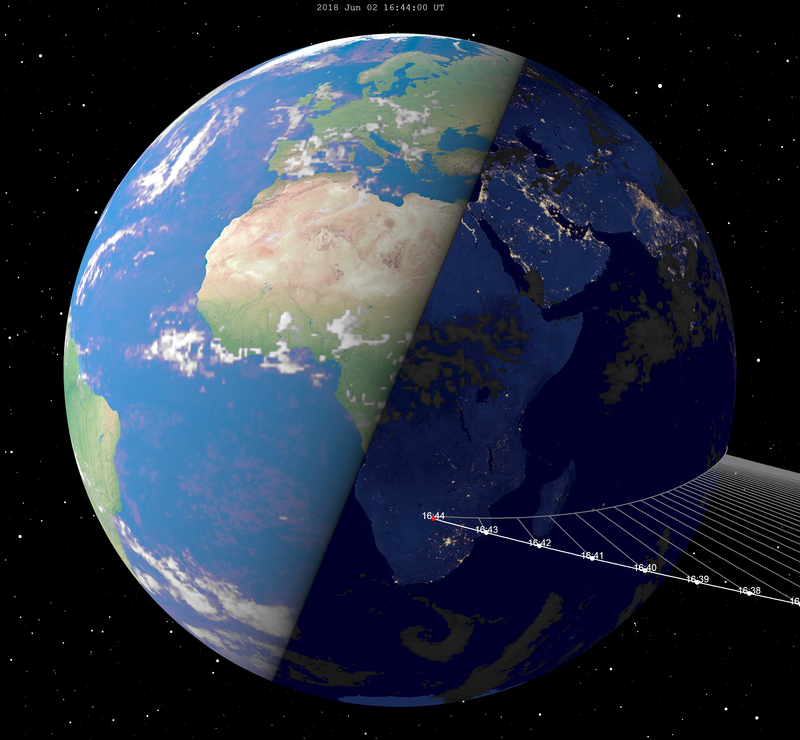 Learn more from the discoverer about what it takes to find new near-earth asteroids.